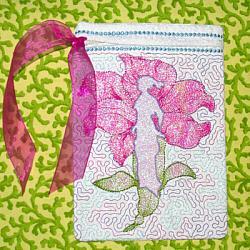 Perfect for gifting! 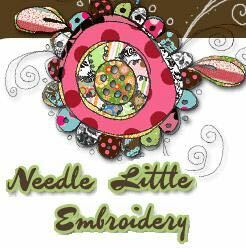 This NlE original design is a basket of fun to stitch and to give ~ at Easter, for birthdays, for baby showers and just because!!! 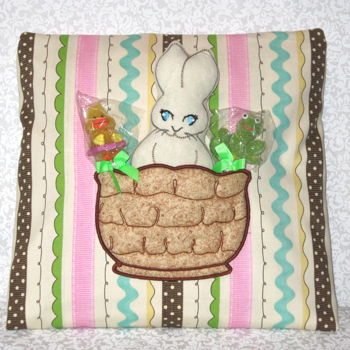 This adorable bunny softie done in the hoop comes with his own 3-D quilted pocket basket. 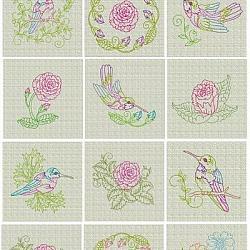 The pocket is created in the hoop as a stand alone pocket to then stitch on any finished project. This makes it easy to use anywhere , even on small toddler tops! No hoop to fight with. 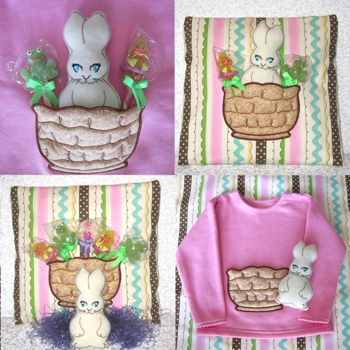 Delight your special little one this Easter with this precious bunny set. 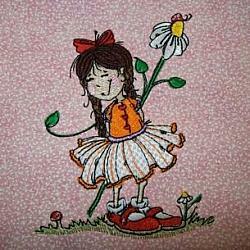 Great for home dec applications, cute wall hangings and placemats. 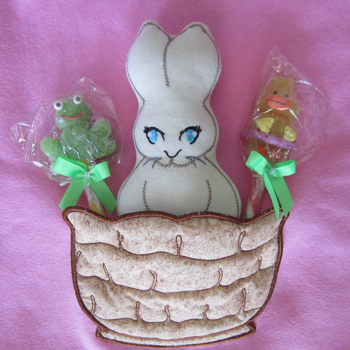 Make fun children's toy totes, or a special Easter pillow ~ and perfect for truly one of a kind "play clothes" !! !